If looking for ways to maximize your time in a destination, transportation becomes extremely important, and not just for sightseeing. How you get to and from a city or town can also make a big difference in how much time you have to explore, and depending where you’re headed, it’s not always a plane. This is especially true in Europe. Train or Plane to Explore Europe? When I was planning my 2-month summer itinerary around Europe, I had to incorporate in transportation between 14 different places. This meant I didn’t have a minute to lose in any of those destinations if I wanted to make the most of my time. Besides lack of time, there was one more factor: budget. Unfortunately, I didn’t have an endless one, and unless you’re a student traveling in the back of the train (probably without a designated seat half the time), train tickets around Europe can be expensive depending where you’re traveling between. I found that in a few instances, trains were even more expensive than plane rides thanks to European budget airlines. 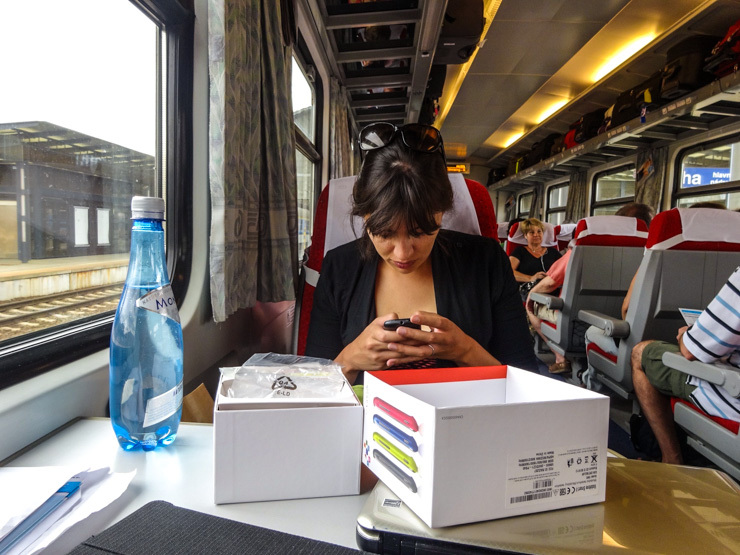 Trains through Europe can also be much more spacious than an airplane. So, in that case, it seems the no brainer should be to go with the plane, right? After all, airplanes go faster than a train. And if the price is fairly comparable – or occasionally even cheaper – it seems like it should be the route to go. But it’s not quite that simple. Once I added in getting to the airport an hour early, getting through any customs that may be awaiting me, and then finding the transportation to my hotel, I’d added on at least 90 minutes to the flying time. Plus – and this is a big one – I had to actually get to and from the airports I was flying between. Depending on the city, this could add a lot of time, sometimes even an hour or more. I figured train rides would be the best option for my trip, but I still wanted to make sure, so I spent a lot of time comparing flight and train prices and times for each leg of my journey. Then I ran into an unexpected hiccup between Budapest and Ljubljana. There seemed to be no easy way to get between the cities, and plane rides were quite expensive and involved layovers. I spent nearly a full day of travel planning research trying to figure out how to get between those two cities, quite stressed I was going to lose an entire day in Ljubljana, a city I’d never been to before that I was so excited to explore. This is why when I heard of GoEuro (which launched after my trip) I immediately liked the idea of the website and knew it could be helpful to travelers. GoEuro is a travel search engine that solely focuses on transportation around Europe. And unlike other flight and train websites, you don’t need to choose your mode of transportation in advance. Just choose the cities you’re traveling between and GoEuro will tell you the possible plane, train, and car routes in between them, and then makes it easy for you to book your trip. Not sure if it’s time to get that International Drivers License? GoEuro can help you decide. Not only that, GoEuro has a convenient, easy to read graph at the top that shows how long each transportation method is and what the cost is. It even adds in transportation time to and from the airport. For Budapest to Ljubljana, the route that was causing me difficulties, GoEuro shows that a plane ride is expensive and long and that a bus is cheap, but even longer. Then it shows that renting a car is the same cost as the bus – but nearly half the travel time. Car transportation (I ultimately ended up hiring a driver as opposed to renting my own vehicle) was the solution I ended up coming to after hours of research, and searching a variety of different train routes and airlines and bus lines. With GoEuro, it just took a click of a button and a few seconds to get that same information. I was curious about train results, too, with GoEuro so I searched for the previous leg of my Europe journey I had done, Prague to Budapest. Again, in seconds, it showed the price and length of different modes of transportation. Screen shot of GoEuro’s helpful graph for options of getting from Prague to Budapest. A train was over two hours longer than a plane ride, but at a fraction of a price. Was it worth the two hours extra of travel time? That’s for you to decide depending on your budget, but thanks to GoEuro you quickly and effortlessly have the information you need to make that decision. 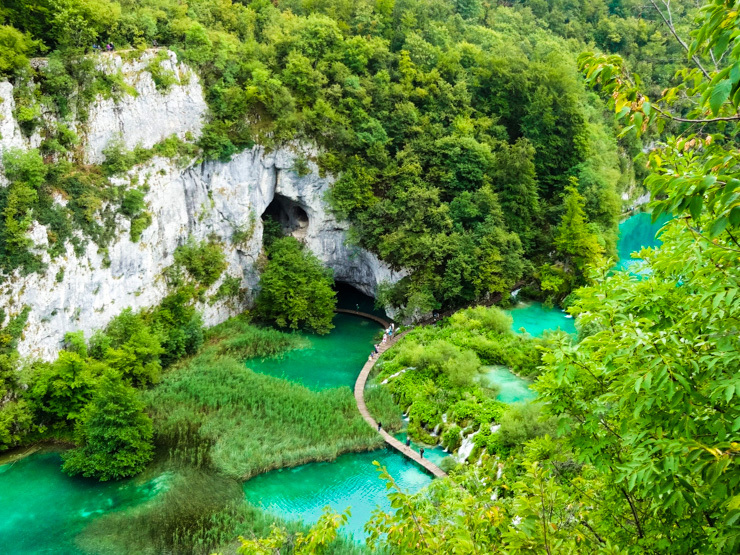 Click here to visit www.GoEuro.com right now and start playing around with its cool search tool — and start dreaming of an amazing Europe vacation! This post is sponsored by GoEuro, but – as always – all opinions are my own. I really like what you said about how much more spacious a train can be than an airplane. I’ve heard that transportation by train from airports are the best way to go, I’ll have to look more into it though! I also have heard trains in the U.S. are less common than that type of transportation in Europe. You wrote that transportation services are a terrific option, especially for when there isn’t an easy option for getting to a place with public transportation. My brother is planning on flying into town, and asked me how he should get around. I’ll advise a service so that he doesn’t have to worry so much about keeping to someone else’s schedule. I agree that your travel plans will affect a lot of the time you have to enjoy sights in certain areas of your trip. It’s important to consider how private car transportation services can help you get where you need to go in a way that best fits your schedules. I think you can improve your travel experience a lot by finding ways to make the most of your transportation options. Planning a trip in July to go to Ljubljana, Prague. This is a good start :)…And Europeans are so lucky to not travel like us for so many hours from state to another. Over there it looks like it takes you less than an hour to be another territory. Love it! Gina, I love the idea to use a search engine that specializes in transportation. My wife and I have been planning on going on an exciting vacation this upcoming summer. I definitely think that we should start planning our transportation in order to make it to all of the theme parks. It’s such a helpful tool!